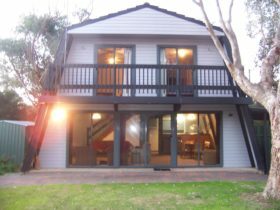 Aldinga Beach Getaways offers modern stylish accommodation that will induce you to completely un-wind and relax on the beautiful Fleurieu Peninsula. We presently have luxurious 3, 4 and 5 bedroom villas waiting to accommodate your summer soiree, romantic retreat, family reunion or corporate event. The villas have multiple living areas, bedrooms and numerous bathrooms. The villas are fully air-conditioned plus have cosy gas fireplaces for those cooler times of snuggling up and reading your favourite book or watching your much-loved movie. With lower level lounges looking out to sea, guests or children can relax away from adults entertaining upstairs. 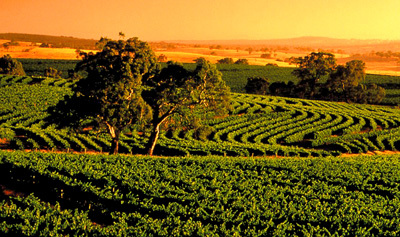 With modern stylish interiors, you will holiday in comfort and elegance at Aldinga Beach Getaways. 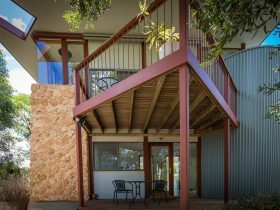 Villa Ida is situated on the Esplanade at Aldinga Beach, and has two sun-drenched decks where you can take in the views of the beautiful blue waters of Gulf St Vincent or the picturesque Willunga Hills. 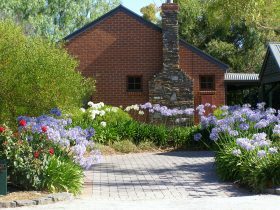 The villa is fully air-conditioned plus it has a cosy gas fireplace for those cooler times of snuggling up and reading your favourite book or watching your much-loved movie. With a lower level lounge looking out to sea, guests or children can relax away from adults entertaining upstairs. Miele kitchen appliances and a Weber BBQ will elicit the gourmet chef within you or alternatively you can dine at the many fine eateries close by. We even have outside hot & cold showers to wash off the sand after a pleasurable sun-drenched day at the beach. 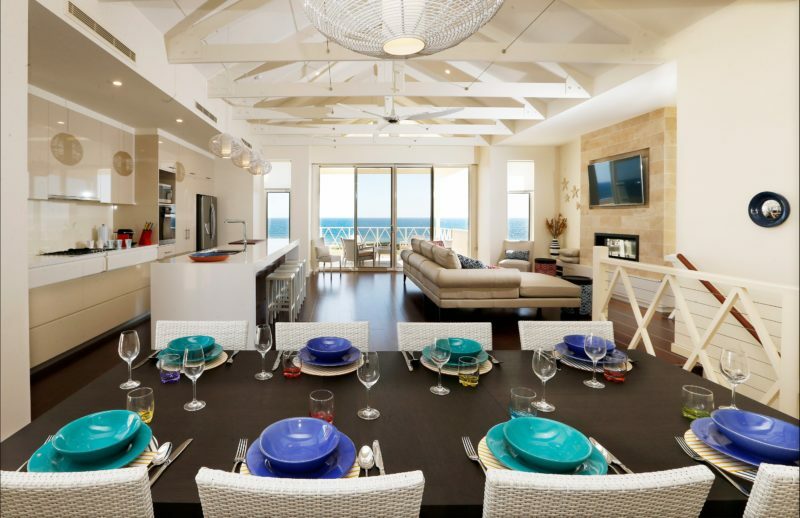 With stylish appointments of travertine and bamboo flooring, leather lounges, stone kitchen & bathroom benchtops, you will holiday in comfort and elegance at Aldinga Beach Getaways. 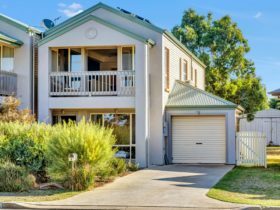 Villa Grenada is situated on the Esplanade at Aldinga Beach, and has two sun-drenched decks where you can take in the views of the beautiful blue waters of Gulf St Vincent or the picturesque Willunga Hills. 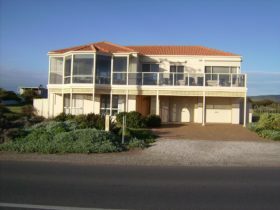 A gorgeous & very comfortable family orientated beach house on the seafront between the idyllic Port Willunga and Aldinga Beach on the Fleurieu Peninsula in South Australia. A five bedroom villa offering chic accommodation with multiple living areas. Villa Nashwauk has recently undergone complete renovation and now offers it’s guests a modern-day comfy and relaxed holiday home that has multiple living areas, five bedrooms and three bathrooms. 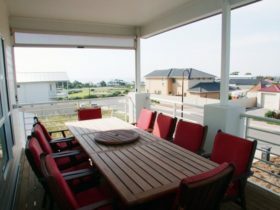 This Villa has a very welcoming sun-drenched balcony where you can take in the views of the beautiful Aldinga Aquatic Reserve. The Villa also has a large outdoor undercover entertaining area complete with a sizable BBQ & a very generous landscaped lawn area which is completely fenced and ideal for families.